Don’t know if copper gutters will be worth the investment? The experts at San Antonio Rain Gutter Pros do. 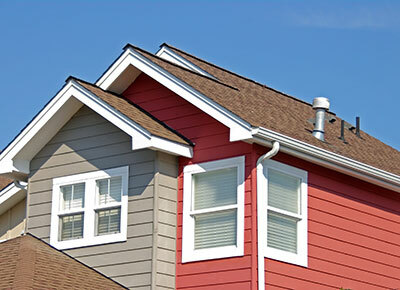 It doesn’t matter if you want to repair an old gutter or have a new one installed. We offer systems in a variety of sizes, styles and materials. Hire the Rain Gutter Pros for rain gutters in San Antonio! San Antonio Rain Gutter Pros Know Residential & Commercial Systems! Seamless Gutters – Not only are seamless gutters convenient, they add to the look of your residential or commercial property. This gutter gives a subdued look to your property’s exterior. No one will know they are there. Having them installed couldn’t be any easier with our professionals on the job. Aluminum Gutters – Are your current aluminum gutters leaking? We are experienced in working with aluminum gutters of all sizes and gauges. These are one of the most common gutters in use today and come in varying thicknesses. It is easy to see why. They do not rust which means that they can last you a while. Galvanized Gutters – Don’t you just hate it when your gutter starts to sag after the next rain storm? Gutters made from galvanized steel are designed to resist damage from rain or snow. They also add curb appeal to a property and are held in place by strap handles. Copper Gutters – These gutters experience minimal expansion and contraction. They also happen to be rust resistance. But how do you prevent them from oxidizing and ruining the look of your property? 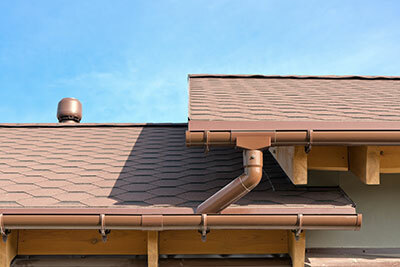 Hire the pros at San Antonio Rain Gutter Pros to install a copper gutter system for you. We also offer maintenance services to ensure that your investment lasts for a long time to come. Half Round Gutters – Are you looking for rain gutters that stand out? These are a favorite for homeowners. Half round gutters add an elegant touch to the look of a property. They prevent runoff from ruining landscaping or gravel. Installing, repairing or replacing half round gutters isn’t a job for amateurs. We can provide you with complete solutions from professionals. Box Gutters - If you really want gutters that blend into your property’s exterior then box gutters are for you. They are designed to hang on the side or under the edge of your roof. You might have spotted them on old buildings. That is how durable they are. Let us install new box gutters or repair the one that your property came with. Rain gutters from San Antonio Rain Gutter Pros look just as well as they work. Contact San Antonio Rain Gutter Pros now for a free consultation and estimate.